Matthew Placzek’s stainless steel sculptures are large, dynamic works that are welded and formed to create pieces that are contemporary in style. Line, form and strong composition are the characteristics of each of these sculptures. Some of Matthew’s most noteable work is in stainless steel. 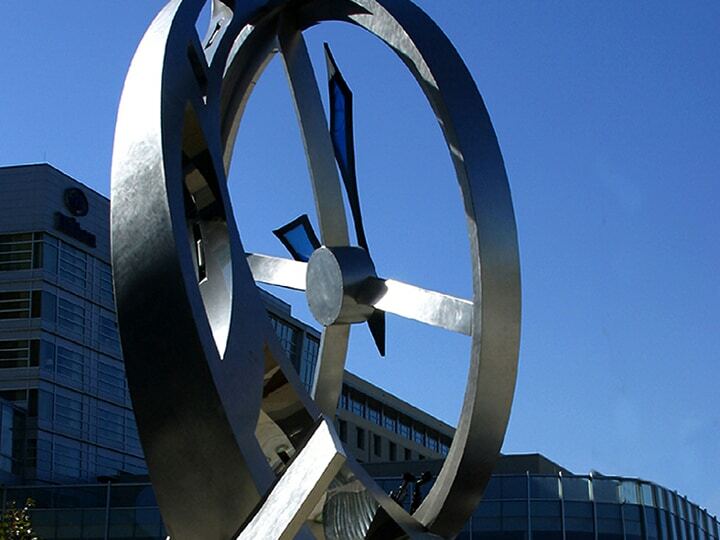 His creation of the 35 foot tall clock in his monumental piece Illumina is a working clock made out of stainless steel with working clock engineering.